Riverpark provides convenience, cost effectiveness, and an unparalleled level of medical excellence. We strive to provide both patients and staff a pleasant setting where cost-efficient healthcare can be received and delivered. It is our goal to provide the highest quality healthcare to our patients utilizing qualified specialists, personalized service, and state of the art resources. Our decisions are driven by the philosophy that our patients are given the highest priority. Ambulatory Surgery Centers (ASCs) are designed for surgeries that do not require hospital admissions. Because ASCs must adhere to some of the most highly regulated standards of excellence in the industry, patients can be assured of receiving not only the best, but also the most cost effective approach to care. In our Gastroenterology Division, we employ a comprehensive approach to diagnosing and treating diseases and disorders of the digestive system. The digestive system includes the esophagus, stomach, intestines, colon, liver, pancreas and gallbladder. 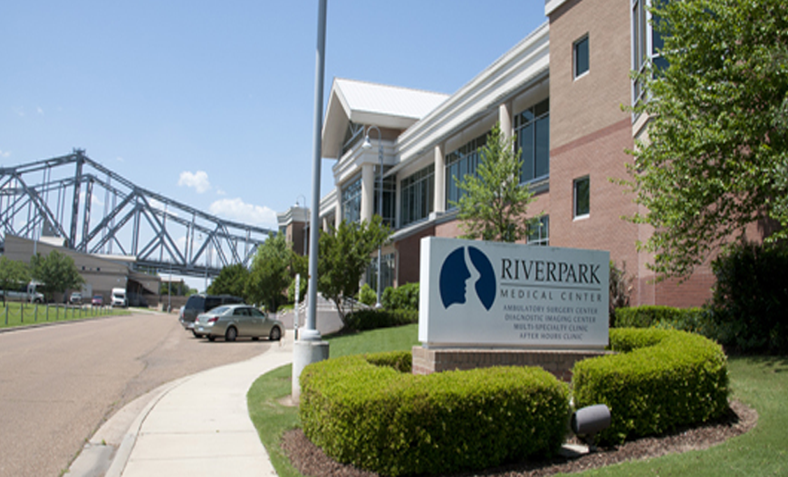 Riverpark Medical Center incorporates a Digital Imaging Center, which offers patients a level of technological excellence, convenience and accountability unparalleled in the Miss-Lou area. We also offer 3-D ultrasound, digital fluoroscopy, digital x-ray, and osteoporosis evaluation (bone density). The Fairbanks Orthopedic Center addresses all musculoskeletal disorders and injuries. We are experienced and skilled in dealing with the bone and joint problems of the pediatric, adolescent, adult and geriatric population. We are committed to the restoration of function in our patients, and to achieve this, we employ the highest quality of both surgical and non-surgical care and rehabilitation. Riverpark Sports Medicine and Physical Therapy facility is not just a clinic – we are advocates for our patients' health and well-being. At Riverpark Sports Medicine & Physical Therapy, we utilize a team approach to provide professional, personalized, high-quality treatment to members of our community. If you have any questions, or would like to schedule an appointment, please contact us today. © 2019 Riverpark Medical Center. All Rights Reserved.